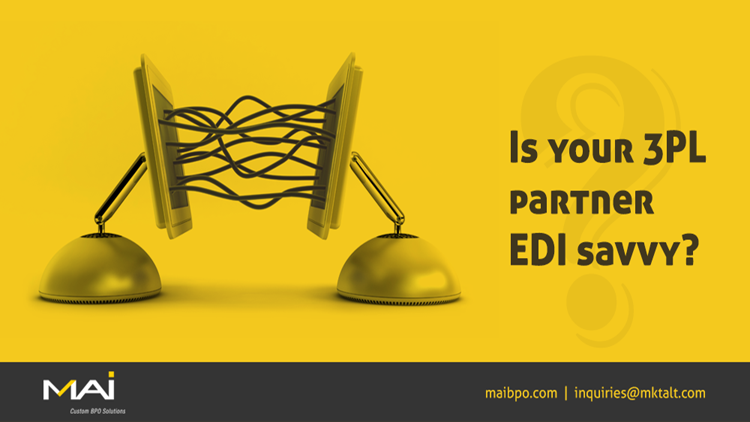 By moving from a paper-based exchange of business data to Electronic Data Interchange (EDI), manual intervention is minimum, but relationship between business partners improve. Some common business documents that are usually shared by companies are invoices, purchase order, sales order, shipping details, information on inventory, customs, bills etc. If your business is huge, having EDI makes lot of sense, as business processes can be carried out accurately in a short time, over a secured network. Besides, having a standard data format like EDI, helps to streamline exchange of data smoothly. What are the benefits of being EDI savvy? Cost Cutting : Research shows, EDI implementation cuts cost by one-third, as opposed to paper-based processing system. Quick Processing : When data exchange happens between computer systems, the process is more sophisticated. It cuts down processing time and eliminates unnecessary human intervention. Transactions that used to take over 5 days is now reduced to an hour. Efficient Accuracy : EDI data transfer leaves little room for inaccuracy as it is done electronically. Paper-based processing is prone to human errors. Increased Efficiency : Companies that automate tasks using EDI, sees an increase in productivity. Tracking exact status of order is an advantage for streamlining processes, inventory, and improve cash-flow for sellers and better payment options for buyers. Establishes Uniformity : Having a standardized electronic format, helps establish uniformity across systems. Strategic Value : With respect to fulfillment industry, the number of companies is not restricted to local geography, but spans across international borders. Real time document processing and tracking through EDI allows companies to be more responsive to customer behavior and market demand. This allows businesses to make quicker decisions, focus on product enhancements and effortlessly, open new opportunities to partner with overseas businesses. Social Responsibility : Since EDI eliminates use of paper, it effectively enables companies to fulfill their social responsibility, besides cost cutting. Benefits of a robust EDI solution, runs deep and emerges with every amazing breakthrough a company gains. Research has consistently shown that by adopting EDI, companies save 70 times more than its paper-based equivalent. With EDI, a major American company reported a reduction in its order processing costs from $38/order to $1.35/order. EDI holds essential key to fulfillment process. Hence it is vital that this system is able to read the documents efficiently, and carry out the fulfillment process without running into glitches. We at MAI, believe in providing our clients with custom-made solutions catering to their unique business requirements.